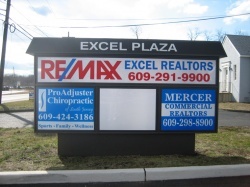 A great way to advertise and capture passerby's attention, night or day. Ottawa Custom Signs internally Illuminated Signs can be manufactured from a variety of materials, and in many different sizes designed to your specific needs. With raised faces, embossed lettering and dramatic color accents, they provide a very effective way to sell your message. To make an enquiry about Illuminated Signs please contact us now. To order an Illuminated Sign now please click here.